The average American gains six pounds in the six weeks that span the holiday season. Whether or not you consider yourself a resolution person, now is a good time to read a few simple but practical suggestions for getting rid of these unwanted pounds. Exercise does not cause weight loss. You might think this is blasphemy, but the truth of the matter is that exercise does not cause weight loss. One pound of fat (fat about the size of your two fists put together) stores about 3,500 calories. When you walk one mile, at any pace, on average, you will burn about a hundred calories. That’s it. Sad, but true. This means that you would have to walk about 35 miles to lose one pound of fat! So, while exercise is great for you, your heart, and your health, it’s important to know that exercise alone does not cause weight loss. A good nutrition plan causes weight loss. The key to weight loss is reducing your calorie intake. Remember those times when you’ve been sick and did not eat much and lost pounds just lying there? A good nutrition plan is one that is well-balanced with lean protein, vegetables, starches, and healthy fats. If you can reduce your calorie intake by about 500 calories per day, this will result in one pound of weight loss per week. Reducing your intake by 1000 calories per day causes two pounds of weight loss per week. The key is to identify areas where you can make small and sustainable changes. A good place to start? Reduce all calorie-laden drinks such as sodas, juices, and high-calorie coffee drinks. Next, look at snacks, like chips, candy, or cookies. The most common source of extra calories is the larger starch portions we consume at our meals. Diet with exercise causes more weight loss. Remember, while exercise alone does not cause weight loss, exercise when added to a good nutrition plan causes more weight loss. Don’t skip breakfast. It’s so tempting to skip breakfast: Gotta make lunches. Gotta get the kids to school. Gotta get to work on time. Gotta reduce my calorie intake! But honestly – you gotta eat breakfast! Evidence consistently shows that when you skip breakfast, you gain weight. This is likely due to extra hunger that builds as the day goes on, resulting in higher calorie intake, less nutritious snacks, or a voracious appetite by lunch and through the afternoon. So remember, make sure to have breakfast every morning. And sorry – coffee is not considered a breakfast. Have protein at breakfast. Our traditional breakfast foods are mostly carbohydrates such as cereal, oatmeal, waffles, and fruit. But it turns out that carbohydrates, in many cases, make you hungrier. Make sure you eat some lean protein at breakfast, since protein reduces hunger. My usual breakfast is an Eggbeaters vegetable omelet, or a protein shake if I’m running late. You might also consider low-fat cottage cheese, eggs and egg whites, or a low-carb yogurt. So enjoy the New Year and keep this in mind: Even if you don’t stay true to your initial weight loss plan, know that you don’t need to be extreme to get benefits. In fact, extreme changes usually do not last very long, whereas small simple changes for the long term are much more effective. 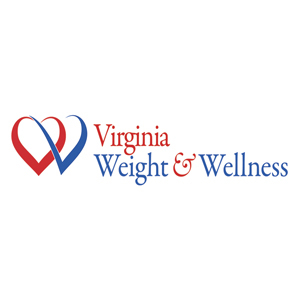 Jeffrey Sicat, MD, FACE, is an endocrinologist and Richmond’s only board certified medical weight loss physician. A father of two young daughters, he lives in the West End with his family.